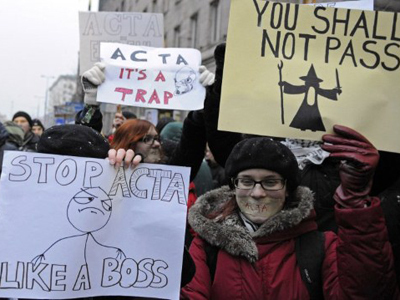 Bulgaria has become the sixth country that has refused to support the international Anti-Counterfeiting Trade Agreement (ACTA). ­The agreement is sponsored by the US and Japan, and meant to toughen intellectual property rights enforcement, but critics say limits freedom of speech on the Internet. Bulgaria’s Economy and Energy Minister Traicho Traikov says Sofia will not ratify the agreement until the EU member states elaborate a joint position on the document. 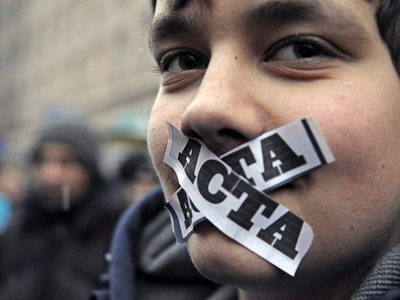 Bulgarian authorities have made the decision to halt the already signed agreement after street protests. 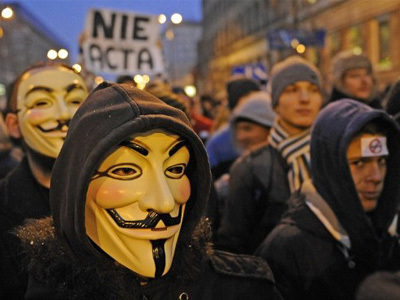 Thousands marched through the capital Sofia and 16 other cities. Minister Traicho Traikov told reporters he is pessimistic about helping the industry that has not adapted to digital age with sanctions instead of through market means. “Authors’ copyright should not be placed above human rights,” he said. 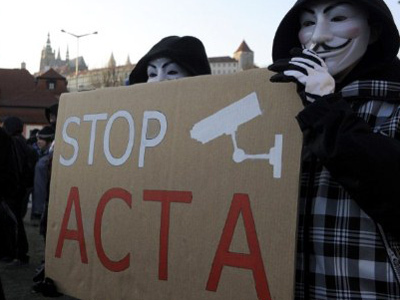 Initially, the ACTA agreement was signed last October by Australia, Canada, Japan, Morocco, New Zealand, Singapore, South Korea and the US. In January, the EU and 22 of its member states signed the agreement, bringing the total number of signatories 31. Five states, Cyprus, Estonia, Germany, Netherlands and Slovakia, have not signed the convention. 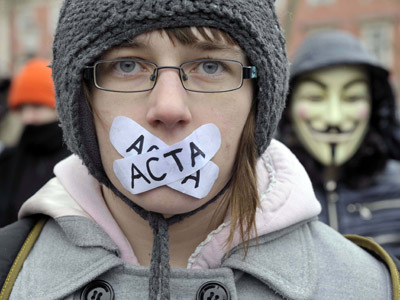 But after dozens of thousands of protestors rallied against ACTA in European capitals, several countries have taken time-out. 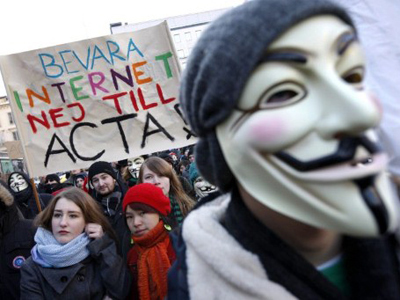 Last week Germany said it was postponing the adoption of the ACTA after protests by internet activists. Before that Poland also backed off ratifying the agreement.